The effects of pollution from transport are especially important in cities, where people and vehicles co-exist in very close proximity. Today, transport accounts for a fifth of global energy demand and a quarter of energy-related CO2 emissions. That means transport is a major contributor to air pollution. And the effects of pollution from transport are especially important in cities, where people and vehicles co-exist in very close proximity. Around 91% of the world’s population is breathing toxic air, according to the World Health Organization, causing 4.2 million premature deaths every year. So, if we are to keep pursuing efforts to limit the global temperature increase to 1.5ºC, and reduce the health impacts of air pollution, we must tackle the issue of urban transport. Low-carbon measures that reduce our reliance on fossil fuels are an important part of an action plan to tackle health-related impacts and save our planet. Electric mobility is widely seen as a way to improve air quality and meet climate goals, but is rarely integrated in a comprehensive vision for smarter cities. And with electrification, come great opportunities to enhance the flexibility, efficiency and environmental performance of almost any application or system, at sea or on land. Take the example of one of the world's first fully electric work boats, Astrid Helene. Astrid is a workboat used for fish farming, with no diesel engines. She is all electric. As a result, she saves the atmosphere from the release of tonnes of CO2. And, unlike other boats in the area, she is noiseless, meaning she has a minimal impact on marine life, and helps maintain silence in the underwater realm. Urban electric buses have enjoyed a boom in recent years as municipalities tackle local pollution and noise. The city of Taipei, for example, has just opened its first all-electric bus route, with a fleet powered by electric drivetrains. Buses have seen the fastest shift towards electrification of all urban transport modes, particularly in Asia, where China is taking the lead. Since 2009, China has introduced subsidies that drove uptake of battery and plug-in electric vehicles. In Shenzhen, for instance, these subsidies brought the purchase price of battery-powered electric buses close to those of diesel buses, and the city finished converting its fleet of over 16,300 buses to fully electric models last year. 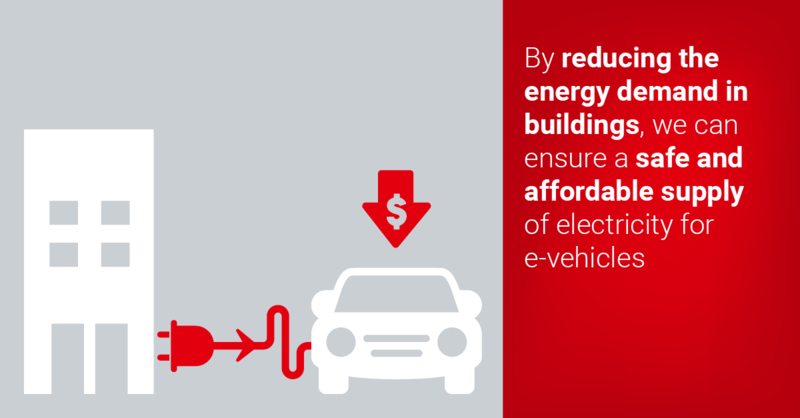 Cities have the potential to be a key driver for electrifying transport. But they can only be smart when all the systems are truly integrated and come together to provide a city that’s more efficient, more sustainable, and more livable. To achieve this, societies need to embrace the transport revolution in two ways. Cities need to set new ambitious targets to become carbon-neutral faster, and create incentives for the transition to electric transport. Copenhagen in Denmark, for example, wants to achieve carbon neutrality by 2025. By then, the city will most likely be the first carbon neutral capital in the world. To achieve this, we need not only to think outside the box, but also to act; working towards carbon neutrality by building on the “energy efficiency first” principle. Electric buses are an attractive option when cities are pushing for cleaner air. The Bloomberg New Energy Finance study estimates that the number of electric buses will triple within seven years. Buses are a key part of the urban transit infrastructure, and the fact that they serve routine and fixed routes makes them ideal for electrification. Working with cities, we have seen that this works best when the city electrifies one bus line to develop a blueprint for implementation and gradually renews the bus fleet. This helps overcome procurement pressure on suppliers and creates a buy-in from citizens, who benefit from a cleaner and quieter urban transport fleet – a first and important step in the transition towards an electric transport system. Electrification alone is not sufficient to put the world on track to meet climate goals. It requires a more comprehensive strategy, taking in the whole of the energy system. In any ambitious transformation of energy systems, we need to rethink how buildings are integrated and connected, and how we collaborate. If cities want to meet their ambitious carbon neutral targets and take advantage of an electrified urban transport fleet, they need to establish intelligent two-way connections for water, heating, cooling and electricity. Smart cities arise from smart thinking. Since Thomas Edison revolutionized the energy sector, we have come a long way in providing more and better energy, and increased our energy efficiency enormously. To take the energy sector to the next level of efficiency, we need to overhaul the infrastructure that has been in place since Edison’s time. While connectivity is key, we must also establish new, smart ways of collaborating across sectors. But, for now, cities can start electrifying their urban transport system, one bus at a time.